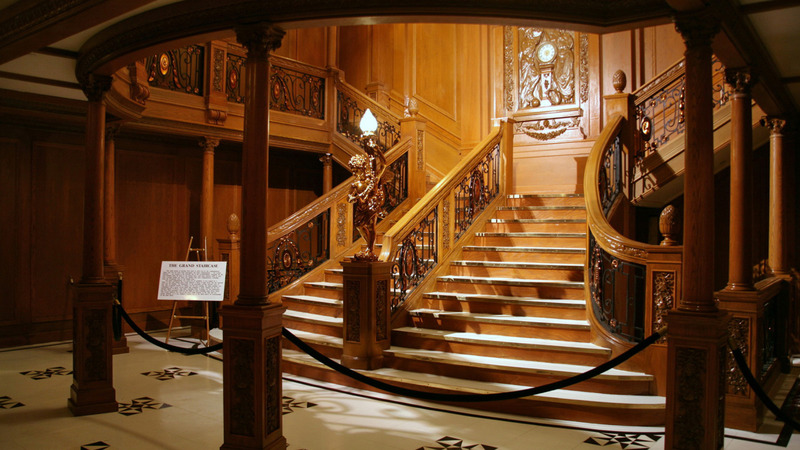 Titanic Grand Staircase. . HD Wallpaper and background images in the Titanic club tagged: titanic bitemecullen107. is this at branson missouri the titanic museum. cause i have been there and it is awesome i love it.